Gelair™ is the best treatment option to manage an entire air conditioning system. Not only does it treat the air passing through the system, it also treats the Air Handling Units (AHU), the ducts, diffusers and the room. 100% natural Australian Tea Tree Oil. Simple to install. Needs no additional energy to operate. Lasts up to three months. Kills mold and prevents associated odours. 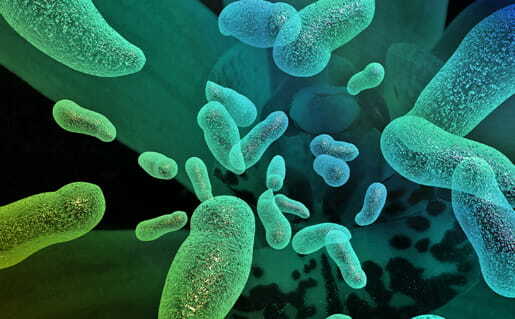 Kills bacteria with no resistance issues (including Legionella) and prevents their odours. Stops the replication of viruses (including HSV & H1N1). Treats the air, the ducts and the room serviced by the air conditioning and ventilation system. Results in clean air and happy occupants. There is a Gelair™ product to suit any mold, bacteria or virus situation or issue. The broad spectrum anti-microbial and anti-fungal properties of Gelair™ products can be used extensively throughout multiple industries and sectors to improve air quality, clean and sanitise and provide long lasting protection against mold, bacteria and viruses. Contact us to find out more about how Gelair™ products can help your situation. Gelair™ products have a fresh natural fragrance. The natural fragrance of Gelair™ is from the Pure Tea Tree Oil. When Gelair™ products are first inserted into your system, you may notice a burst of Pure Tea Tree odour which most people describe as “clean” and “fresh”. This initial fragrance reassures you that the Gelair™ product is releasing the optimal concentration of Pure Tea Tree Oil throughout the system and is treating your indoor environment against mold bacteria and viruses. If your indoor environment suffers from musty or unpleasant smells, Gelair™ products can deodorise and freshen the indoor air you breathe. Many Gelair™ products are available in a selection of fragrances or scents to ensure an odour solution best suited to your preferences. To find out more about which products may have fragrance and scent options, view our product range. Which Gelair™ product do I need? For high volume, high flow ducted air conditioning systems, use Gelair™ Air Conditioning Block. For Split or Reverse Cycle Air Conditioning Systems, use Gelair™ Health-e SPLIT. For cars, use Gelair™ Health-e Car. For general purpose sterilising and cleaning, use Gelair™ All Purpose Steriliser and Cleaner. For low volume, low or no air flow areas like bathrooms, toilets, cupboards or wardrobes use Gelair™ Tubs. For removing built-up grime in the air handling unit, use Gelair™ Coil and Duct Cleaner. For removing built-up grime in industrial circumstances, use Gelair™ Coil and Duct Industrial. For killing 99.99% of germs on hands without water, use Gelair™ Tea Tree Protect Hand Sanitiser. For sanitation of evaporative cooling systems, use Gelair™ Health-e Evap. For preventing biofilm in your vessel’s bilge compartment, use Gelair™ Health-e Bilge. For serious mold infestations, treat first with Gelair™ Fogging Solution. How do Gelair™ products compare to other treatments? Gelair™ is the best treatment option that manages the entire air conditioning system. Not only does it treat the air passing through the system, it also treats the Air handling Unit (AHU), the ducts, diffusers and the room. Are Pure Tea Tree Oil products safe to use? Tea Tree Oil is a well-established natural compound, derived from the steam distillation of the oil from the native Australian species, Melaleuca alternifolia. It is approved by the European Medicines Agency as a natural herbal medicine for specific medical applications and has undergone extensive recent safety testing – including toxicity and dermal penetration studies – to understand the risks to humans. Tea Tree Oil is deemed to be a safe and well-tolerated natural ingredient which has excellent potential benefits for consumers and consumer products like Gelair™. More information on the research available can be found in the Australian Government report, The Effectiveness and Safety of Tea Tree Oil. Why is mold and bacteria a problem for our indoor environments? 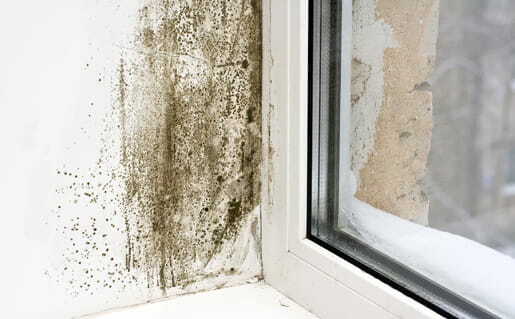 Moisture build up is inevitable wherever humidity and condensation exist; providing the perfect environment for hundreds of species of mold and bacteria to grow – polluting your indoor environment. The most important effects of exposure to these pollutants are the increased prevalence of respiratory symptoms, allergies and asthma, as well as disturbance of the immune system. Preventing (or minimising) persistent dampness and microbial growth on interior surfaces and building structures is the most important means of avoiding harmful effects on your health. 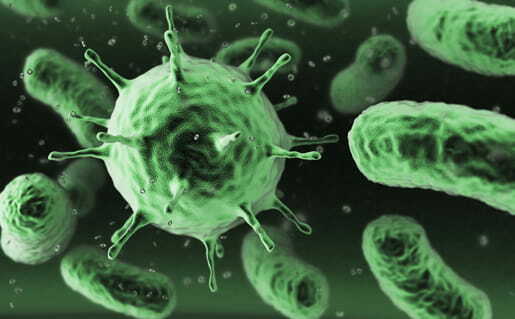 Gelair™ can help in reducing and preventing bacteria, fungus and viruses in your indoor environment. More comprehensive research and scientific evidence on the health problems associated with these indoor pollutants can be found in the World Health Organisation (WHO) report, WHO Guidelines for Indoor Air Quality: Dampness and Mold. Combat and Prevent Bacteria, Mold and Viruses Indoors with Gelair™. Gelair™ products are the simplest way to stop mold and bacteria that infest your air conditioner and the room it services. Gelair™ has delivered solutions to mold and bacteria build up in buildings for over two decades, using Australian grown and distilled Tea Tree Oil as the main ingredient in all Gelair™ products. Only the finest Tea Tree Oil is used in Gelair™ products, with every batch meticulously tested for quality. Australian Tea Tree Oil is a powerful broad spectrum anti-microbial and anti-fungal agent, killing mold and bacteria (including Legionella) and viruses. Gelair™ products can be used anywhere to improve indoor air quality however the healthy living Gelair™ technology means that the benefits of Tea Tree Oil can be delivered to even hard to reach areas such as air conditioning systems. Your health is a priority. That's why our environmentally friendly, natural product helps prevent adverse health effects such as allergies and respiratory illnesses caused by harmful micro-organisms. Proudly based in Western Australia, our Gelair™ products are distributed throughout Australia, Europe, United States, South East Asia and the Middle East. You can locate your closest Gelair agent by viewing our Where to Buy page. With a range of products available, Gelair™ is the answer to improving your indoor environment. For more information about Gelair™ products, contact us today.